A nine-year-old boy has killed himself after enduring four days of homophobic bullying at school in Denver, Colorado, his mother says. Leia Pierce told KDVR-TV that her son, Jamel Myles, revealed to her over the summer that he was gay. She said Jamel wanted to go to school and tell his classmates because he was "proud" to be gay. Denver Public Schools (DPS) say crisis counsellors have been made available to students at Jamel's elementary school. The school system sent letters to families on Friday about the additional counselling services for students. 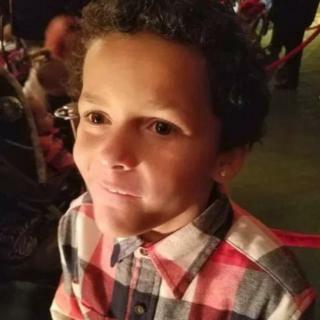 The letter, addressed to the families of Joe Shoemaker Elementary School pupils, says Jamel's death "is an unexpected loss for our school community" and offers parents signs of stress to watch for in their children. DPS Spokesman Will Jones told the BBC on Monday that the district is "deeply committed to ensuring that all members of the school community are treated with dignity and respect, regardless of sexual orientation, gender identity, or transgender status". His statement added that administrators have taken steps "ensuring that our LGBTQ+ students can pursue their education with dignity". Policies and practices, Mr Jones said, include anti-bullying programmes and "guidance materials that fully respect gender identity (including use of preferred pronouns and restrooms)". Denver police are investigating the boy's death as a suicide. Jamel's body was found at home on Thursday, Ms Pierce told local media. He had begun attending fourth grade at the Joe Shoemaker Elementary School on Monday, she said. "My son told my oldest daughter the kids at school told him to kill himself," Ms Pierce said. "I'm just sad he didn't come to me. I'm so upset that he thought that was his option." She said that when he had told her he was gay, he looked "so scared", but she reassured him she still loved him. Ms Pierce said she hopes her son's death can raise awareness of the effects of bullying.